© Paul Warchol Photography Inc. This unique, two-school public building began with a contentious community approval process that required our team to initiate a neighborhood advocacy campaign. Once the project was approved by the City Council, Type A Projects principals worked closely with the School Construction Authority to design a building that offered creative and intelligent solutions for sharing programmed spaces – including a gym, auditorium, kitchen and outdoor play spaces – while remaining sensitive to neighborhood resistance to the building’s bulk. 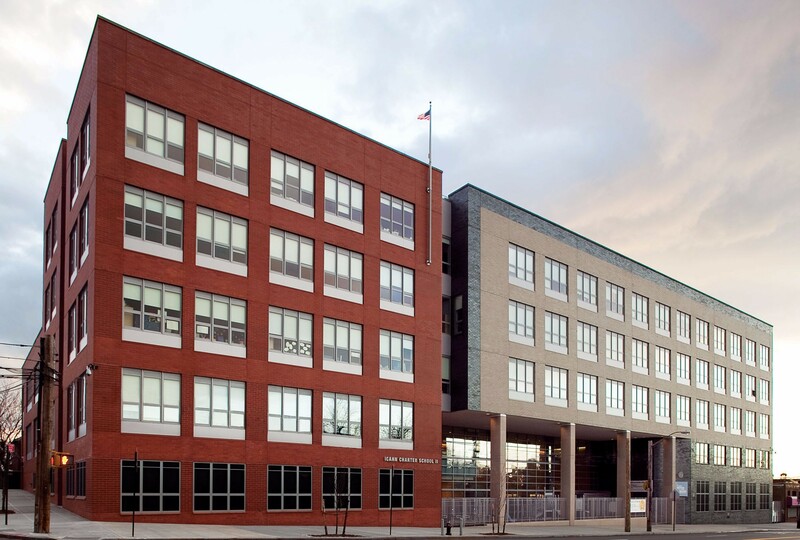 We strategically aligned our charter client’s space needs with the Department of Education’s seat shortage to create the city’s first shared charter/non-charter newly constructed public school building. The result is a respectful community edifice that includes a full roster of classrooms for both schools, including dedicated classrooms and support spaces for a DOE Autism program, science labs, a library, an art room, cafeterias, an auditorium, a gymnasium, outdoor play spaces, and kitchen facilities.